Welcome to another Modern Musings! 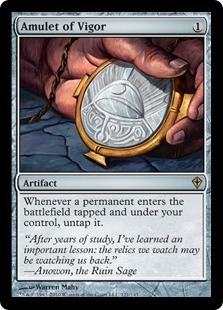 In this article, I am going to look at the calls for a ban of Faithless Looting and Ancient Stirrings and the potential implications for the Modern format. The current perceived problem with the Modern format is that the top two deck, Izzet Phoenix and Dredge, are fast graveyard-centric decks. They are capable of rapid starts that can be difficult to interact with without specific graveyard hate. This has escalated to the point that players are being incentivised to run Surgical Extraction and Rest in Peace in their main decks, which is certainly warping the format. Ancient Stirrings decks are not dominating the format in the same way as Faithless Looting but they are not too far behind. 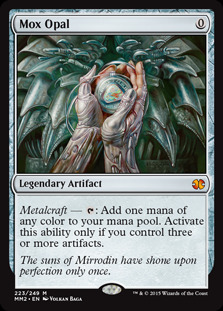 Tron, Hardened Scales Affinity, Amulet Titan and Whir Prison are all decks that are sitting close to the top of the metagame. Stirrings is a key player in these decks that enables them to be powerful. Modern is a format where it is very hard to keep everybody happy. There has yet to be a top deck in Modern that people are universally happy with and the reality is that there never will be as people want different things from the format. As such, I personally take complaints about the top deck in Modern requiring a ban with a pinch of salt. It has happened to all of the top decks over time and in a number of circumstances has been unfounded, for example Death's Shadow and AEther Vial have been the target of ban talk in the past. That said, it's always a good idea to keep your ear to the ground in relation to these developments, if enough people have an issue then there may be merit in the complaint and the stronger the calls for a ban the more likely it is to happen. In the next sections of this article, I am going to look at the potential impact of banning Faithless Looting and Ancient Stirrings in the format. This is obviously one of the direct targets of the ban in the current metagame. Izzet Phoenix is the current best deck in the format and Faithless Looting is a key part of the deck, allowing for its most degenerate plays and the most rapid way of putting Arclight Phoenix onto the battlefield. It seems likely that Arclight Phoenix decks would die with the banning of Phoenix as although there are other options for discarding Phoenix none of them are nearly as efficient as Faithless Looting . The Izzet shell it exists in has been around for a while and even made the Top 8 of Pro Tour Rivals of Ixalan at the hands of Pascal Vieren. However, it has never really had the type of longevity as it is experiencing now with the explosiveness of Phoenix. This is the other target of the proposed ban. Of the two top decks in the format at the moment, personally, I find Dredge to be by far the more offensive. Dredge is an entirely graveyard-based deck that churns its deck into the graveyard and then cheats creatures onto the battlefield and other useful cards into the graveyard. 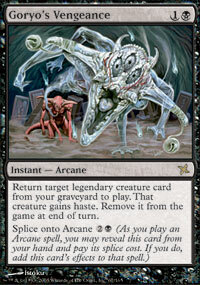 The deck can be very fast and can be difficult to meaningfully interact with without specific graveyard hate cards. Dredge has been around for a long time in the format and has had various levels of success. 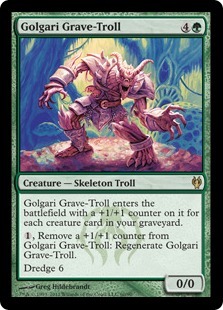 There was a time that Wizards thought it was safe to unban Golgari Grave-Troll , the biggest Dredge card printed, but this soon turned out to be a mistake and Grave-Troll was rebanned. The card that has really propelled Dredge back into the spotlight is Creeping Chill, which has allowed the deck to have a powerful alternative strategy in just burning the opponent out in combination with Conflagrate and makes racing the deck much harder. Dredge becomes much slower without Faithless Looting which is one of the best, cheapest and fattest Dredge enablers in the format. I think it would still be playable but would at least drop a Tier or two. A former bogeyman of the format. 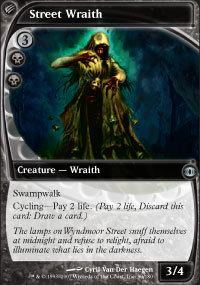 Hollow One decks power out the deck's namesake with cards like Faithless Looting , Street Wraith and Burning Inquiry . It's unlikely too many hearts will bleed for the death of the Hollow One deck but it was an interesting niche strategy that gave life to some otherwise unused cards. 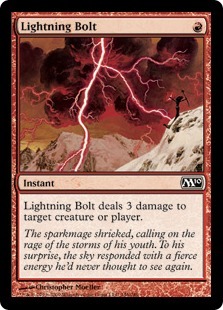 Again, there are cards that can try and fit in Looting's shoes here but it slows the deck considerably when speed is really the defining feature of the deck. I can't see the Hollow One deck really surviving a Faithless Looting ban. Another deck that saw some short-term success in the format. Perhaps most famously it was run to the Top 8 of Pro Tour Rivals of Ixalan by Gerry Thompson. 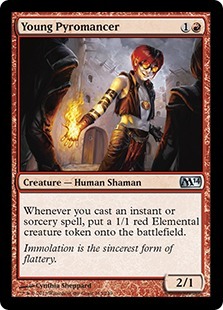 Mardu Pyromancer is a midrange value deck that is somewhat akin to The Rock and Jund decks. Faithless Looting is one of the best enablers for reanimator strategies in the format. These already only hold a small share of the metagame but banning Faithless Looting probably just makes them unplayable. It's questionable whether these high variance strategies are particularly desirable in the format anyway but I cannot really see them limping on without their best card. 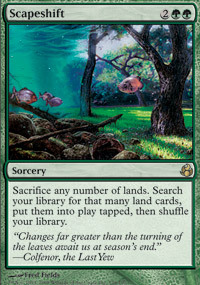 Tron is one of the oldest and hardstanding decks in the Modern format. It has managed to survive multiple attempts on its life but Stirrings would probably be the biggest hit to date. 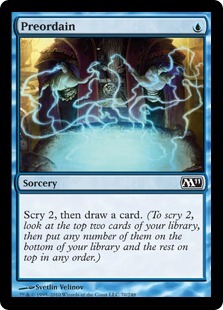 Stirrings is practically perfect for Tron decks as it can find Tron lands or colourless cards which makes it a virtual tutor for the deck, being able to pick up pretty much any card you could need. Tron is still playable without Stirrings but it is a huge hit to the deck losing one of its best one-mana spells and there isn't a replacement that really comes close. 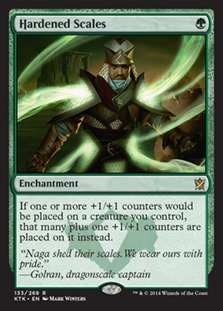 Hardened Scales Affinity has become the most popular version of Affinity over its more traditional configurations. 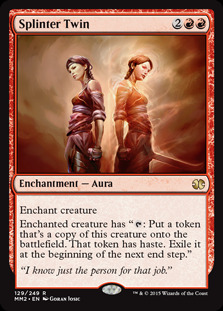 This version of Affinity uses Hardened Scales and other +1/+1 counter synergies as part of its gameplan. Given the deck is in green it also decides to capitalise on that by playing Ancient Stirrings which is an excellent draw spell for the deck. I don't think banning Stirrings kills Hardened Scales Affinity but it might raise the question of whether it is worth playing it over traditional builds of Affinity. 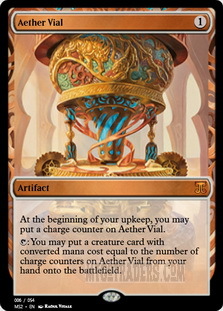 Lantern Control and Whir Prison are artifact-based Prison strategies. The idea is basically to lock your opponent out of the game to the point where they cannot win. The win condition is usually milling the opponent out. 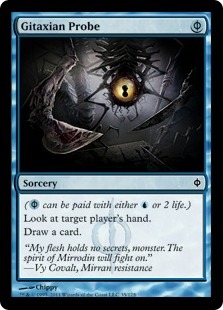 Stirrings is a very powerful card here as it helps search up the pieces of the puzzle required to lock out the opponent. The decks would be playable without Stirrings but a lot less consistent and would sorely miss the power of it given the deck is about finding the necessary lock pieces. 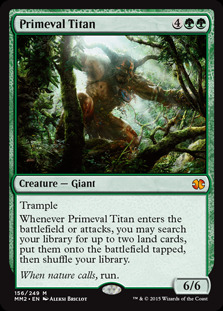 Amulet Titan is already the remnants of a Summer Bloom ban that targeted the deck. Taking away the deck's best cantrip would be painful and reduce the number of early Amulet of Vigor s it's capable of obtaining. 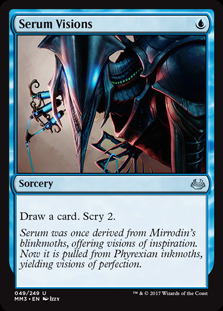 I have seen some lists that run Serum Visions and it would be interesting to see whether that could fill the gap. 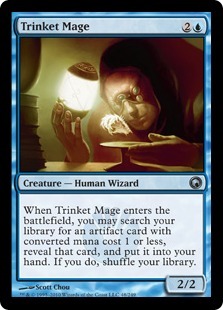 Trinket Mage is also seeing play as a tutor for Amulet but it's hard to replace a one-mana spell with a three-drop creature. So now we have looked at what decks stand to lose from a Faithless Looting and Ancient Stirrings ban, let's look at what the format might look like if a ban was put in place. Humans is currently the top deck in the metagame that does not play either card. 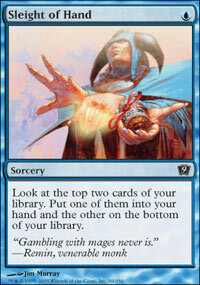 It was also the top deck before Dredge and Phoenix got their recent boost from the Ravnica Allegiance cards. 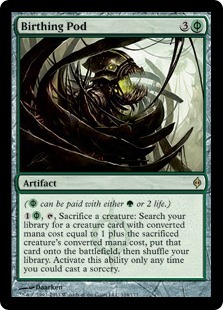 Naturally, weakening or destroying the decks above it in the pecking order will push it back to the top and I think Humans would once again be the deck to beat in Modern. Traditional Affinity decks will benefit greatly from the bans. Hardened Scales Affinity is going to be less attractive with Ancient Stirrings gone and so traditional Affinity will likely rise up again. 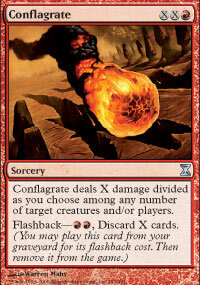 Burn should get better though it will be racing against other aggro decks, which can be problematic. 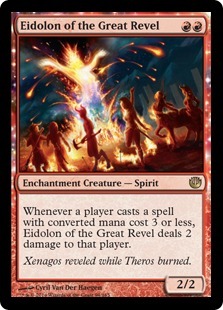 Eidolon of the Great Revel seems pretty nice in a world without Tron and fewer decks that can go over the top. As I discussed in my last article, Bant Spirits is more of a tempo deck than outright aggro deck. However, Dredge and Phoenix are bad matchups for Spirits and so it will undoubtedly be a bigger player in the metagame with those decks gone. These removal heavy decks enjoy preying on creature-focused aggro decks and could be well positioned in a Looting and Stirrings free metagame. 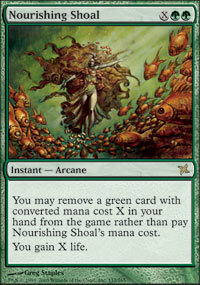 It might be controversial to call GDS a midrange deck but it's closer to Jund than you may think. I actually think that the new format would not favour Death's Shadow decks very much. Aggro decks that go wide can be a real problem for Death's Shadow decks and the new format seems like it would have a lot of those. 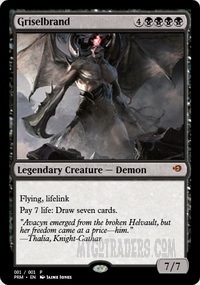 Certainly if Humans is the best deck, as I would expect, then Death's Shadow decks will have a hard time. The top combo decks in the current metagame would be heavily damaged by the bans which would lead something of a void in the Combo slot. It's possible this would be an opportunity for some decks though. 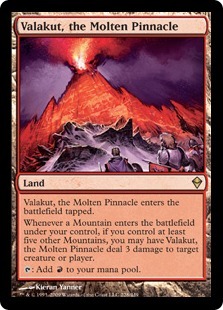 The Valakut, the Molten Pinnacle -based combo deck seems like it would be a bit slow for my anticipated aggro-focused metagame, though it does have access to some nice sweepers. I think Scapeshift would struggle in this format. 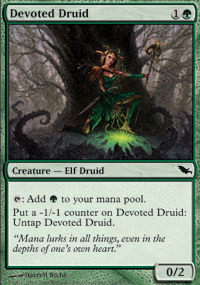 This Devoted Druid/Vizier of Remedies combo feels like it's powerful enough that it should be performing better. The proposed bans may give it the space in the format it needs. That said targeted removal and sweepers become a lot better in a world without Phoenix and Dredge and more Humans and Affinity decks roaming, which might not favour the deck. UW Control is the deck currently behind Humans in the pecking order of the current metagame. Control decks benefit from a more predictable metagame and so want to see a top deck crowned, as it makes it easier having more focused answers. I think a Looting and Stirrings ban will push aggro decks back to the top of the metagame which in turn may well allow Control decks to prey on them. The new metagame looks like it could be well-rounded though somewhat aggro focused and real lack of strong combo decks. There may also be room for decks that were previously being pushed out of the format by the dominance of the other top performers. However, it should be noted that you don't always achieve addition by subtraction when it comes to bans (though you always hope to). No Ancient Stirrings and Faithless Looting is a lot more limiting on the viability of various decks that a ban to a specific combo card. Although the ban may be targeted at certain offenders the splash damage is much greater. There has been some talk about banning Manamorphose. 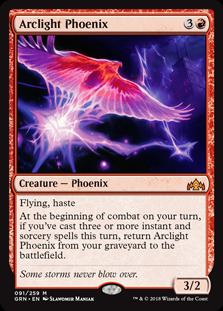 This would hinder Phoenix decks, being one of their key cards, and also have some significant splash damage against Storm decks. This is a much more targeted ban and would have a meaningful impact in denying Phoenix decks one of their key 'free' spells. Opal is a card that has somehow managed to stay in the format despite a general ethos of banning fast mana in the format. 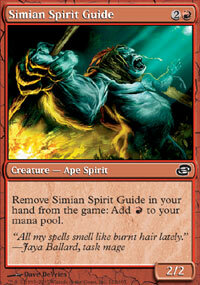 It stands out alongside Simian Spirit Guide as the bizarre cards that somehow aren't banned despite the ethos of the ban list. Opal fuels nearly all the artifact-focused decks, with the notable exception of Tron, and works to fix their mana as well as accelerate them. Banning Opal would hurt Affinity and the Lantern Control/Whir Prison decks but it's not clear that's really justifiable at this moment in time. Personally, I like the idea of trying out banning Manamorphose over Faithless Looting and seeing how that plays out. I don't think Manamorphose will be desperately missed by non-Phoenix players, with the exception of Storm players but that deck is pretty degenerate as is. Except on principal, I am not sure banning Opal really achieves anything in the current metagame. Nobody ever seems to like any particular deck being on top of Modern, though are also people who will complain about the lack of homogenisation in the format and how sideboarding is too hard. When it comes to Modern it is never possible to please everyone as everyone seems to want different things from the format. Banning Looting and Stirrings will likely kill a wide variety of decks, which seems like a shame for the format. I think it also limits the available decks too as cantrips are fundamental to the playability of various strategies and not just one or two specific decks. Banning Looting and Stirrings is far different from banning Splinter Twin or Birthing Pod and other targeted bans of the past. 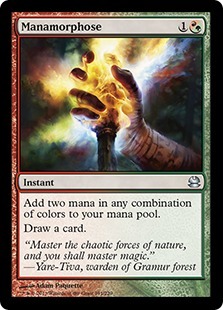 Red and green cannot adequately replace the power of these cards and they fuel a wide variety of decks. I acknowledge my own bias here. I tend to lean towards maintaining the status quo while other call for bans. I also don't play nearly as much high level Modern as others so I may not have the best handle on the extent of the problem. That said my main misgiving about a Looting or Stirrings ban is that it could hurt long-term format diversity. 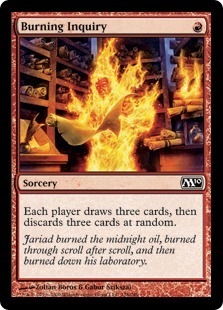 Certainly in red there is nothing remotely close to replace Looting in terms of a one-mana cantrip and the Stirrings decks have some options but nothing truly close. The loss of these tools limits what is possible in the format and invalidates whole strategies which I think would be a shame for the format. Cantrips have been banned before of course but primarily in blue where there are numerous backups. Ponder and Preordain were quickly replaced by Sleight of Hand and Serum Visions . Gitaxian Probe couldn't really be replaced but it breached what is fair for a free spell to be doing. That said there is also the argument that the best cantrips shouldn't be in Red and Green to begin with, as this is a distortion of the colour pie. I am happy to hold out for now and see how the format develops. The top decks get a lot of hate and the format doesn't always adapt as quickly as it might but it certainly has the tools to. 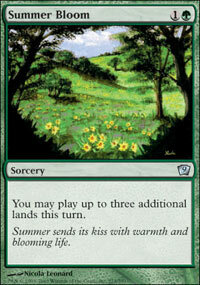 We also have Modern Horizons on the horizon, which could be a major game changer for the format if it hits the mark. That's all for this article. Please let me know your thoughts on the current state of Modern and whether you are in favour of the proposed bans in the comments below.